For Portsmouth drivers who want to get behind the wheel of a vehicle that is capable of handling anything that life might put in its way, the new Jeep Wrangler is a fantastic option. This popular compact SUV is utterly packed with helpful capability features. Those who are in the market for a mid-sized SUV will want to take a look at the Dodge Journey available at Port City Chrysler Dodge. The Dodge Journey is a great vehicle for those with families as there is plenty of room in this vehicle. The interior is designed for those who want storage space and comfort at the same time. 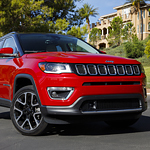 When you're looking for a compact SUV to drive around Portsmouth, consider the 2018 Jeep Compass. With a sloping roofline and dramatic shapes, you'll be sure to turn heads. 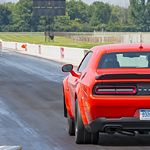 At Port City Chrysler Dodge, we can explain the different options you have for this unique vehicle, including the eight different choices for wheel designs. 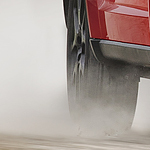 Whether you're looking to drive off-road or want a reliable vehicle to get across town, there's a wheel set for you. Built on the cusp of the pony car revolution, the Dodge Challenger has more than four decades of excellence to its credit. This popular muscle car continues to innovate, offering drivers its characteristic mix of power and style for a new era. 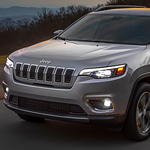 If you want people to be instantly impressed when they see you driving through the streets of Portsmouth, you can get the right kind of attention in the Jeep Cherokee. The exterior design of this acclaimed SUV is guaranteed to turn heads and make you the envy of the road. 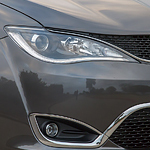 Although the Chrysler Pacifica is a minivan, it does have a few performance features that would make you think otherwise. These features make it easier to tow a trailer and other items up to 3,600 pounds behind your vehicle while you're on the roads in Portsmouth. The V6 engine gives you the power that you desire while you're behind the wheel so that you can get up and down any kind of road. Is a Truck the Right Vehicle for Me? If you're considering whether your next new car should actually be a truck, you're not alone. Statistics show that more buyers than ever are trading out their sedans for a pickup. There are plenty of reasons why this might be the right choice for you. 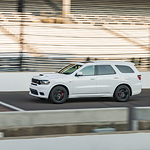 It is easy to forget that Dodge Durango is a fuel-efficient sport utility vehicle. While going over its four-wheel drive, its spacious interior and its safety features that keep family members safe, no one thinks that they do not have to spend a fortune at the gas pump when purchasing the vehicle. In the full-size luxury sedan class, Chrysler offers its popular 300, a lean and powerful machine that gives drivers plenty of outward style to match its high-performance engine and interior luxury. 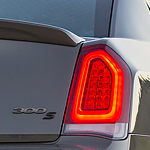 Beginning with the 300's headlamps, the vehicle matches design with driver-friendly convenience. Automatically adjusting headlights switch from low beams to high beams and back again as the situation demands. The High-Intensity Discharge headlamps provide superior illumination in all weather and lighting conditions. 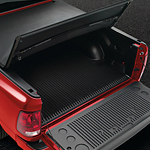 Light-duty pickup trucks are a favorite among drivers, offering the utility of their hauling capacity with a more compact size that makes them easier to maneuver. 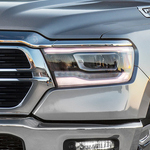 The Ram 1500 heads the list as a popular choice in this vehicle class, renowned for its solid build, strong chassis, comfortable cabin and improved safety features. Parallel park with ease using the Perpendicular Park assist feature. Fitting into tight spots becomes second nature with the 1500 guiding the driver and automatically steering into a parking spot while the driver follows cues using the gas and brake pedals.